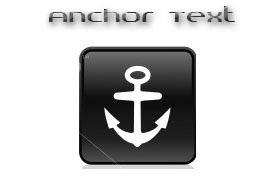 Anchor text..what's the use of it..?? "Blogger Tricks -Your online source for Blogger Templates"
In the above line,.. the Clickable text i.e, "Blogger Tricks" is the anchor text. While Search engines crawl a webpage, the Anchor text tells them what that linked page is about.In the above example, the Search engines assume that the linked page is about blogger,blogging,tricks,tips,...related key words and it helps that webpage to rank higher for that respective keywords. "Your online source for Blogger Templates - Click Here". So, if you understand the importance of it and use it cleverly, it will increase your search engine rankings very effectively.. especially in Google and it's very important if you want your website to be in top 10 for a particular keyword. so.. How to do the Anchor text optimization? Simple! always use the related keywords as Anchor text while linking to any webpage. Hi, I'm trying to anchor text to another part of my page. Nothing happens when i click on the text next to the words "Jump to"